Since its establishment, Mrs. Gerry’s has been growing steadily and has undertaken nine expansions of its production facility. 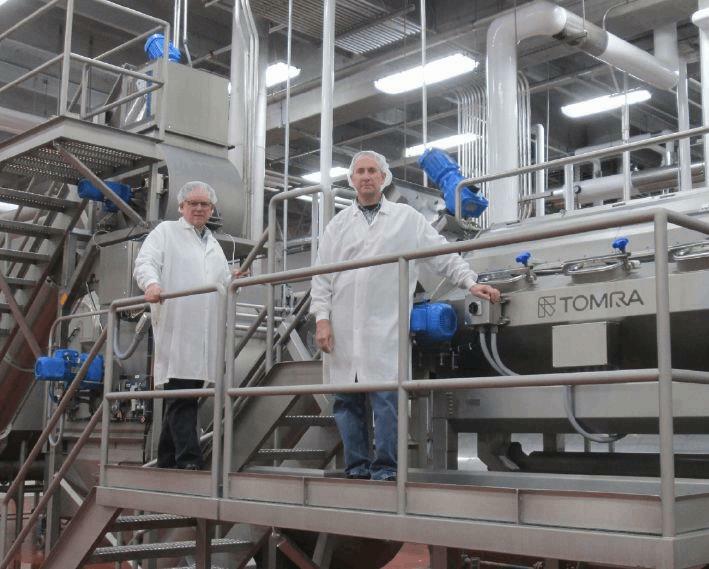 The latest expansion by the company, which includes the Orbit 350 steam peeling line from TOMRA Sorting Food, allowed them to expand its ‘Ready to Eat Refrigerated Entrees’. Chad Vogt, CEO at Mrs. Gerry’s, says: “Our company started in my mother’s kitchen, with her parents being the first two employees, and it is still family-owned and operated more than 40 years later. It was my father, who ran a small distribution truck that needed salads to complement the meat items he sold, so he approached my mother with the idea of making potato salads, macaroni salads and coleslaw for him and it blossomed from there. Mrs. Gerry’s has faced two challenges as the company has grown: firstly, keeping pace with the increasing steam capacity required to produce sufficient quantities of its products to meet demand, and secondly, running out of production capacity. More than 120 different products including its ‘Original Potato Salad’ - the recipe that started it all in 1973 - are now produced by the business. TOMRA’s technical team visited the manufacturing facility in Albert Lea to see first-hand the challenges and requirements of the customer. Following a process audit and an efficiency test of the existing solution, it became clear that peeling efficiency, steam supply and consumption could be improved. Chad concludes: “Shorter cycle times and increased productivity give us the opportunity to focus on continuing to grow our existing business and securing new customers through the development of new product ranges, while maintaining our reputation for high-quality products and remaining profitable.